You’ve found Tauranga’s most loved florist. We’re Cherrywood Florist, a team of hands-on Tauranga florists located in the heart of Otumoetai. We’ve been delivering locals’ flowers for as long as we can remember and can’t wait to deliver you yours. We use our own courier so you can be confident your flowers will arrive safely and you will also receive a photo of your flowers. There’s nothing we love more than seeing a customer’s eyes light up when they are handed their bouquet. This is why we choose to work with local growers, making sure you get the freshest flowers of the highest quality. We’re always up for a challenge, so if you have specific needs or floral ideas, all you need to do is ask. We can cater for almost any situation, with experience across events and more. 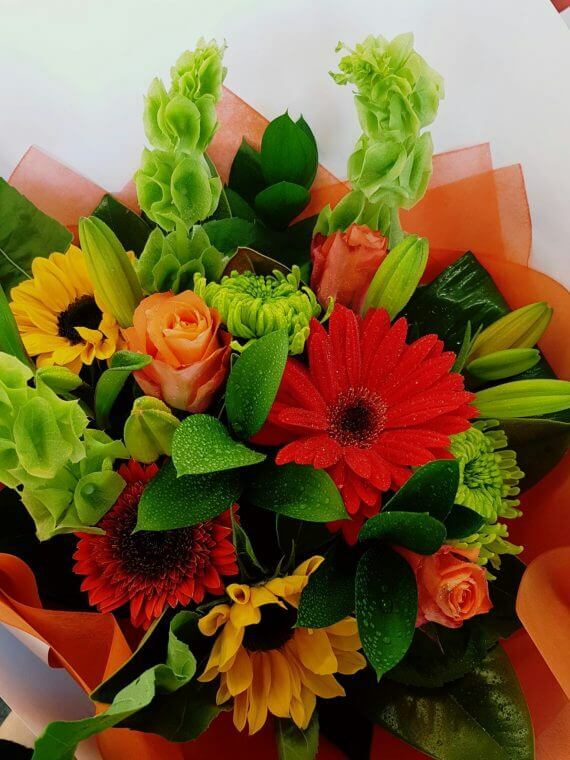 As a trusted Interflora florist not only do we deliver locally, but we can also help you send beautiful, fresh flowers all over New Zealand and around the world. If you’re ready to send your loved ones flowers, or even treat yourself, have a look at our most popular arrangements here. Our friendly team of Tauranga florists have experience with a wide variety of flowers for all occasions.